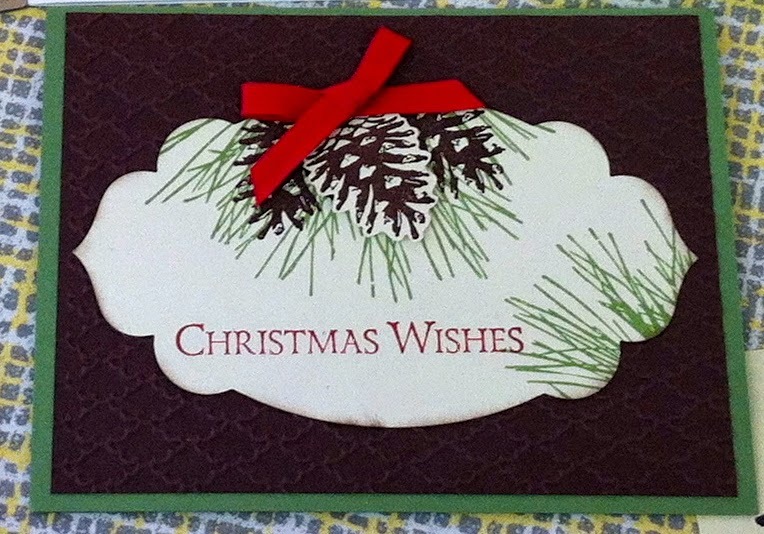 Stampin' at Dawn: Dropping the Ball.....and I don't mean the New Year's Ball! Dropping the Ball.....and I don't mean the New Year's Ball! So let's see....I'm hoping I have photos of the cards that I need to post since I gave a bunch to my mom over Christmas! Here are the photos from my Nov. 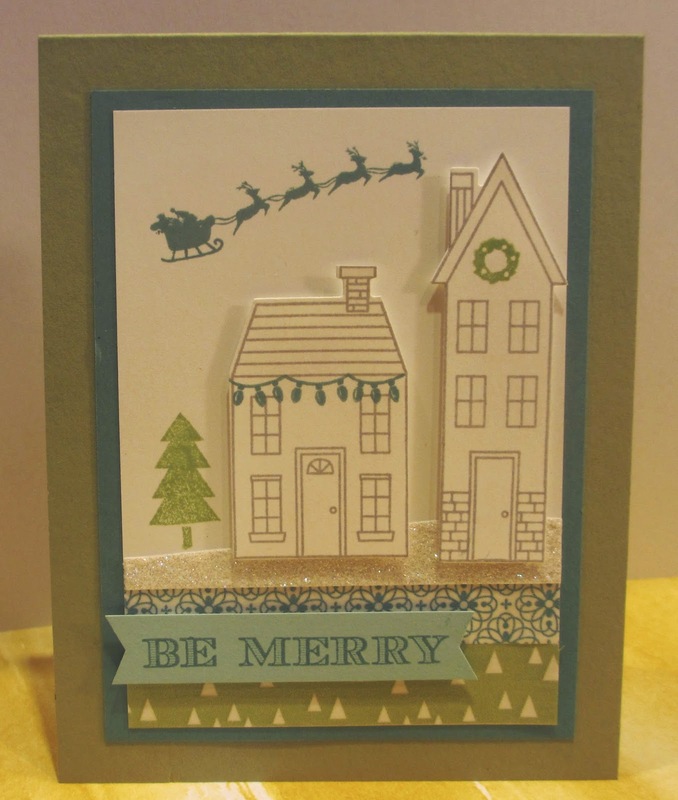 Stamp Set of the Month featuring, Ornamental Pine and Holiday Home. I don't have all the photos....yet....but I'm still looking! This was my favorite! You can't really see the bling of glitter on the pine cones! 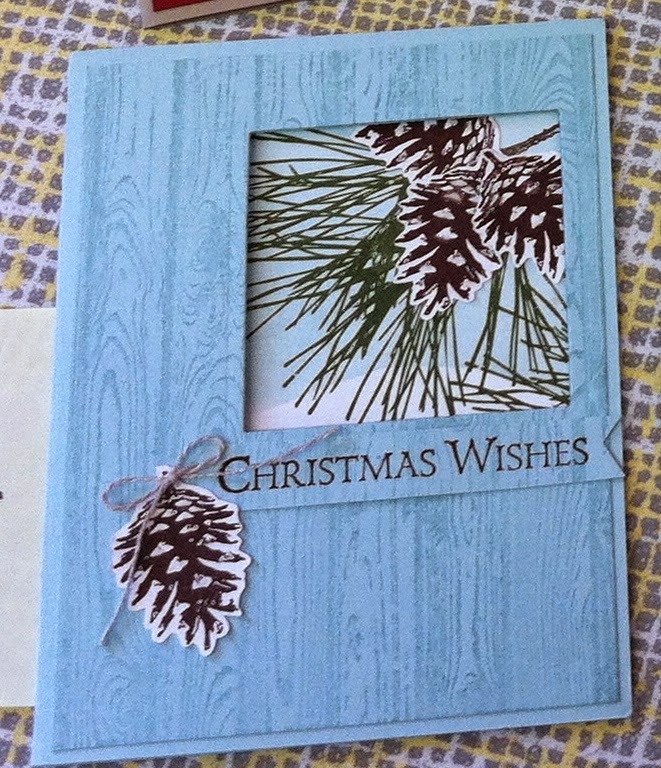 Love how the embossing folder mimics the look of pine cones. 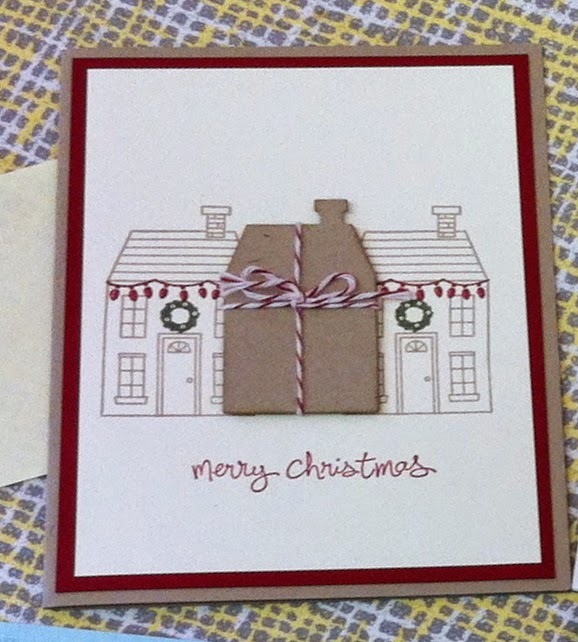 This was case'd from Stampin' School.....and I should have one more, but can't find the picture yet. This is my first try--I changed the real red to cherry cobbler....and it looks much better~ cased this from Teneale Williams. We did this card, but changed the white to soft sky and I liked it a lot better. 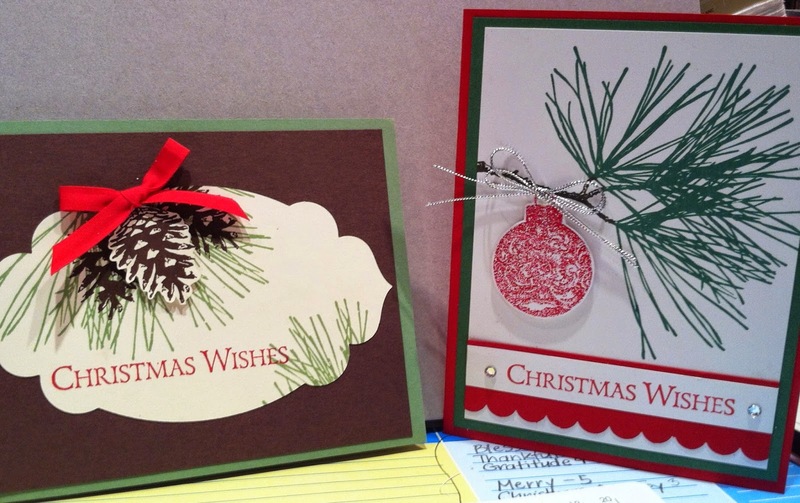 This was cased from our demonstrator magazine, Stampin' Success. So sorry friends for these late, late, late pictures.....I'll be back tomorrow with pics of December's Stamp Sets of the Month-- White Christmas and Festival of Trees.